Calling all Flintstones & WWE fans! 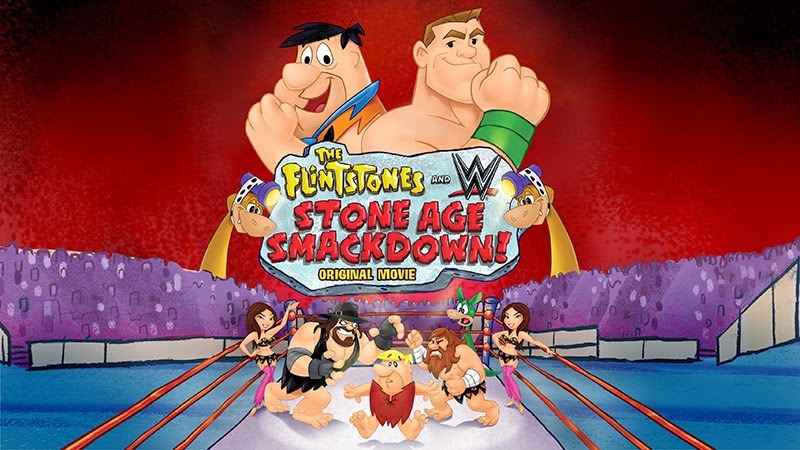 The Flintstones and WWE have teamed up to bring you Stone Age Smackdown! Download the activities and do them together. Take the quiz to find out which Stone Age Smackdown Star you are. Watch the official trailer and click on the box art to bring the film home today. Then enter our giveaway. When Fred loses his family's vacation money, he hatches one of his hair-brained plans to get it back. It's a sports entertainment spectacle that involves throwing his best bud, Barney into the wrestling ring with the likes of John Cenastone (John Cena), Rey Mysteriopal (Rey Mysterio) and even The Undertaker, with Fred himself as event promoter! The crowds roar, the "clams" are pouring in from ticket sales and even Mr. McMagma (Vince McMahon) is taking notice of all the hoopla. Including all-star appearances from The Boulder Twins (Brie and Nikki Bella) Marble Henry (Mark Henry) and Daniel Bry-Rock (Daniel Bryan), it's time to get the whole family together for hard-hitting, side-splitting laughs from the most epic event in all of prehistory! Own it on Blu-ray Combo, DVD and Digital HD Now! Ends 3/23/15. Winner must reply within 24 hours or a new winner will be chosen. Giveaway open to US & Canada residents only. The prize will be sent via FedEx or USPS. No P.O. Boxes please. Prize supplied by Warner Home Video. 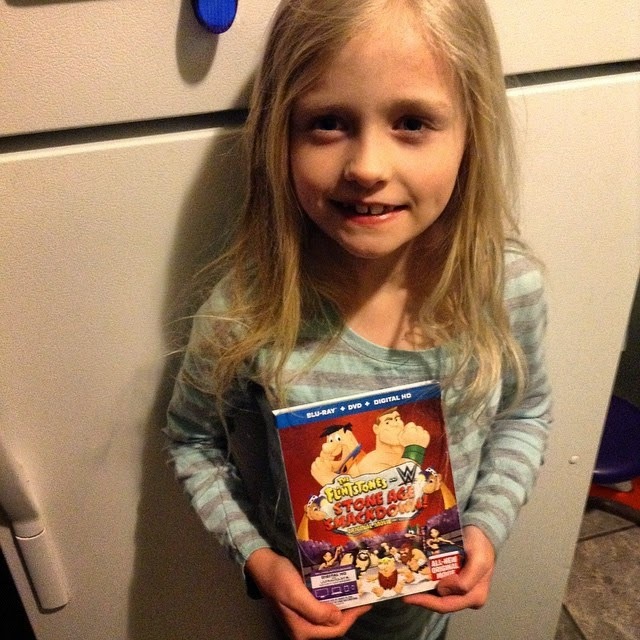 Each household is only eligible to win One (1) The Flintstones and WWE: Stoneage Smackdown Blu-Ray Combo Pack via blog reviews and giveaways. Only one entrant per mailing address per giveaway. If you have won the same prize on another blog, you will not be eligible to win it again. Winner is subject to eligibility verification.